Your Ticket To an Abundant & Loving Life! The best investment you can make right now is the one you make in YOU. All change happens on the inside first as an intention, then as a purging of old, useless and outdated parts of self that leads us to a realignment with our Authentic Self. At that stage, we are then ready to SPEAK OUR WORD and let loose the energy that will manifest our future goals and dreams. Let astrology help! UPDATE: We can now meet on Skype to discuss your reading requests and/or for the reading itself! Recording readings on Skype is now doable with my TALKHELPER call recording software! I can make you an MP3 recording of our reading and email it to you for fast download via YOUSENDIT. You can save your reading to your hard drive and listen to it again and again! Personal and Relationship success are much more than learning your Sun sign or reading your horoscope in the daily newspaper. Newspaper astrology is just for entertainment, and the good folks who write those columns know that. Even though they want to provide you with a little something useful, sun sign analysis alone isn't enough when it comes to life and relationships. Astrology works. It shows us why some relationships work and why some don't work and what to do about it. It even shows us when, no matter what we do, a relationship or project isn't slated to work out. In short, we find out the reasons why we can't have what we want when we want it. Because TIMING IS EVERYTHING, knowing this "upfront" saves heartache. Astrology helps us understand the universe's heart beat and how to get our own souls in sync with it. To start out, we have to understand the potentials locked in our birth charts. A horoscope is a map of the cosmos reflecting the state of the universe at the instant we entered earth's time stream. It is the blue print for our existence. It gives us insight as to what was on God's mind when he/she/it created us. The code to the stars was given us by the Creator for a reason. The stars are keys to timing, and timing is everything. Whether its the spring bloom in your garden or the cake baking in your oven. Timing is nearly EVERYTHING. It manifests as a thing or an event from within the fourth dimensional plane of ideal forms with substance here in the earthly third dimension. But enough of Neoplatonic philosophy! You've heard it said that the definition of insanity is repeating the same behavior over and over again expecting different results. We tend to do this when we lack knowledge. When we lack patience. When we don't trust that there is a direct connection between the heart beat of our lives and the timing in the universe. The universe beats like an eternal heart. We learn, through our birth charts, how to get the beat of our lives in sync with the heart of the universe. There's a smart way to approach relationships and our lives. There's also the self-obssessed way. The smart way is coooperation with the Universe's time clock. The old (or "dumb") way is to force our will onto people, places and things without first burning the candle of self-knowledge! If you are open to a whole new way of seeing yourself and your relationships in a whole new light, you've come to the right place! My Fee list is CONFIDENTIAL. I prefer payments to be remitted through PayPal. All consultations inquiries are answered promptly by Email. Note: All Consultations are done by telephone, or if you reside in my area, we meet "face-to-face." Telephone consultations need to be recorded on your end. Radio Shack and other electronic shops stock inexpensive telephone recording devices. The best bet of all is for us to do the reading on Skype. Recording and making MP3's of readings I send you through my File Transfer download program is a breeze using my TALKHELPER recording software! Check out the overview below! If you have any questions, be sure to E-Mail me! Birth Horoscope: An analysis of your life potentials as viewed through the lens of psychological astrology. Birth Horoscope analysis with a focus on your Pre-Natal Solar Eclipse. The Pre-natal Solar Eclipse degree creates a lifelong sensitive point of manifestation in the birth chart. The Pre-Natal Solar Eclipse is one of the cosmic sensitive points that links us to humanity both on the personal and collective levels. The Birth Horoscope analyzed through the lens of the upcoming year's Solar and Lunar Eclipses. Eclipses shake up our world and take us to a whole different level of being and manifestation. Find out how your year will shape up! Where the planets are RIGHT NOW and how they are affecting your life as seen through your birth chart. Also, how the current transits may be helping or delaying your projects, including time tables for when potentials described in the horoscope begin to manifest. Two "advancing" techniques that bring your birth chart into present and future time. Progressions and Solar Arcs are an in-depth survey of deep psychological changes and soul longings that are directing your life's unfoldment. It's an intensive survey of what it's been like to grow, what it's like to grow now, and what it will be like growing, changing and "being" in the future! These potentials are ALL tapped from original planetary positions in the birth chart brought into present and future time! Solar Return: Your birthday chart each and every year! Solar Returns (a yearly forecast timed to the exact moment the sun returns to the position it occupied at your birth) is a powerful prediction tool for your upcoming year. From the yearly "birthday chart," you can find out what lies ahead for the next 365 days for love, friends, career, spiritual growth and financial abundance! Are you contemplating a move? Vacation to an exotic land? Want to spend your birthday (Solar Return) in an ideal place? What if you've already moved and want to find out more about your birth planet lines and how they affect the new way you're living? Location horoscopes along with your local space and world map analyses (Astrocartography) are now available! 1. Synastry, which is the comparison of your horoscope and a partner's to study compatibility issues; and 2) Composite Midpoints, which is the merging of your and your partner's horoscope into one new horoscope. The Composite chart reveals the "purpose" of the relationship. It shows what the relationship entity looks like when two become "one." 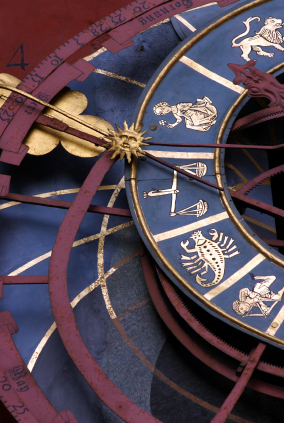 There are many ways in which Synastry and Composite horoscopes can be "moved" into the future. Stargazers use futurizing chart techniques called progressions and solar arc directions which allow us a glimpse into how matters are likely to unfold down the road. Future potentials are thus revealed and such star charts can be read for specific events such as one's wedding day, the first anniversary, birth of a child, and many other significant transitional moments a couple are likely to share. If you aren't seeing someone right now, you may think that astrology has little to offer you. Not so! Your own birth chart holds the timing within it. The potentials for relationship are right inside your own horoscope. By using techniques such as Transits, Progressions, Solar Arc Directions, and Solar Returns, a good astrologer can advise you as to when your BEST TIMES for relationship manifestation are upcoming! Did you know that the position of the Moon in your horoscope compared to another's can tell you whether or not you will feel comfortable and supported by that person? Did you know that the position of the Venus in your horoscope compared to another's can tell you whether or not you share similar opinions on money and how to spend it? Did you know that Mars and Venus's positions can reveal whether or not a couple is sexually compatible? Did you know that the positions of Venus, Mars in relation to Pluto may or may not spell "obsession?" 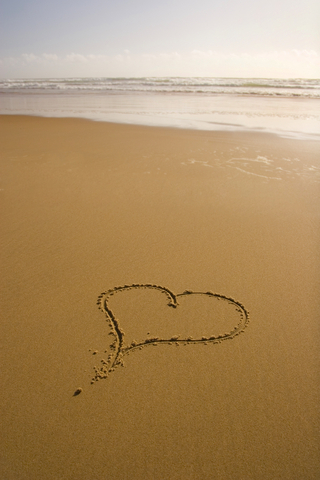 Did you know that Uranus may spell a one night stand or a sudden infatuation? Did you know that the position of Jupiter in your horoscope as compared to another's can tell you whether or not you share a harmonious belief system? Political opinions? Religious values? Did you know that the position of Saturn in your horoscope as compared to another's can tell you whether or not the relationship is even going to last? Did you know that the foregoing is true whether you're straight or gay; young or old; short or tall; fat or thin? It doesn't matter, doesn't matter, doesn't matter! God and the stars are equal opportunity match makers! The comparison of two birth charts for compatibility. This highly popular chart evaluation technique lets you know where the strengths and weaknesses are in your relationship. How well do you two communicate? Can you make it better? If so, how? What are your shared goals? Views on money, children, career and fun? Do the two of you have a good shared SATURN aspect? Saturn is the planet associated with longevity of relationship. A strong Saturn connection is one of the secrets to long-lasting love! Find out! Another form of Synastry/chart comparison but with a different focus. A composite chart is created by blending two horoscopes together to form one horoscope. This blend is what astrologers call "midpoints." This midpoint chart shows you what the relationship entity itself SAYS about you in relation to the "other" in your life. Whether it's your live-in, spouse, friend, business partner, teacher, or boss, A composite midpoint chart can show you what the relationship itself is for! What it is trying to say! What its true purpose is all about! You can apply midpoint composite charts to transits, progressions, solar returning, eclipses, and much more. Composite and synastric astrology are two top keys in successful relationship negotiation! Your experience and perspective on your core relationships with parents, siblings and extended family members can be seen through the lens of the natal horoscope. Family dynamics, harmonies and dysfunctions are even more dramatically seen by cross-chart comparison and evaluation of how this most profound, joyous and troubling relationship constellation works. Our intimate relationships, friendships, work relationships and future hopes all rest upon those very first and most critical of self-defining experiences: being a member of a family. Family dynamics astrology is intense yet supremely gratifying. Self-knowledge brings power. That is, power as "empowerment" -- the embodiment of the healthy life force needed to achieve and maintain a creative, soulful and enriched life. A business has a birth chart just as an individual does. Key players and their interactions can make or break a business whether it's on Wall Street or Main Street. The economy, nationally and internationally, effects a business very similarly to the way money issues impact intimate partnerships. Everyone from the mailroom to the board room is effected. Personal life crises experienced by key players is another common concern. Hidden emotions are absorbed into a company's collective mind without management's awareness. Private conflicts and negative emotions are projected nonverbally but set a tone or "climate" that operates at cross-purposes with company goals. [However, company principals or workers impaired by substance abuse present special difficulties which require quick intervention by medical, psychological and addiction recovery specialists.] Relationship astrology brings another dimension to complex professional relationships. Relationship astrology techniques can be applied to employer-employee and co-worker to co-worker associations as well. HOW the people in question communicate is the key! Understanding another's communication style and adopting new strategies to bridge gaps or soften encounters with difficult personalities can go a long way towards healing the workplace. Fixed Stars, The Arabic Part of Marriage, the marriage asteroid Juno, the Part of Fortune and yearly eclipse patterns -- these special chart points provide greater and deeper insight into the psychology and timing factors that play into the manifestation of the relationship you're waiting for! With the exception of the asteroid Juno, the aforementioned techniques are literally centuries old and are not commonly used by most relationship astrologers. Tapping into what these "chart parts" can teach you and learning how to cooperate with cosmic timing is big astro secret to relationship success! 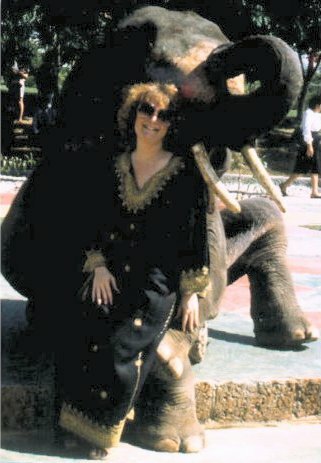 Photo taken in Thailand in 1984 -- Claudia Dikinis with her new friend. Claudia D. Dikinis (Starcats) is an American Astrologer, Poet, Writer & astrology teacher residing in Santa Monica, California. As founder of AstroConsultants of Santa Monica, Claudia maintains a thriving private practice as a full-time astrologer and writer. She is also a proud member of AFA (American Federation of Astrologers) and ISAR (International Society for Astrological Research). Most recently she taught Mundane (world) Astrology for Angel Thompson's Master Class (Venice, California) and was a guest lecturer on the role of the Moon in Mundane Astrology for Kepler College (Summer, 2010). From September through November 2010, Claudia team taught relationship astrology with Karen McCauley for Kepler College's Certificate Program. This class is part of a full astrological course curriculum that is ongoing. She has written extensively for the Astrology journal, "Aspects" magazine, published by Aquarius Workshops, Inc. (founded by preeminent astrologers Joan McEvers & Marion March) on World (Mundane) Astrology topics ranging from a forecast of Election 2000's candidates, Donald Trump's horoscope, and presidential astrology in collaboration with Robert Couteau, author of The Role of the Least-Aspected Planet in Astrocartography. Most recently, Claudia was guest blogger on The Mountain Astrologer writing on The Lunar Eclipse of 12/31 and Teddy Kennedy�s Legacy. As a poet, Claudia has published over 200 poems in literary journals and anthologies across the USA. She is the author of a book of poetry, "First Poems," published by Brett Rutherford/Poet's Press/Grim Reaper Books, Inc. NYC. She also appears in various anthologies published by Brett Rutherford, including "MAY EVE," a collection of supernatural poems. You can read Claudia's poetic series, NOCTURNES on-line. Claudia's astrology Web site Starcats, has been listed as one of The Mountain Astrologer 's "Favorite Web Sites," and was chosen for the April-May 2000 issue's top Web site review. Avi Bass, Professor of Political Science at Northern Illinois University, chose Starcats as his only astrology web site: White House 2000-2004. Claudia is a winner of Canopus Academy's Panplanet Omega Award for Internet mundane (world predictions) astrology and M-Comp's Golden Ratio Award for outstanding service to the metaphysical community. At the exclusive request of Llewellyn Books, a renowned publishing house, Claudia wrote "Global Predictions for the Year 2003" for publication in its 2003 Astrology calendar Claudia has a TOP accuracy rating in predicting world affairs and astro-insights into the lives of celebrities. Check out her highly popular "Newsmakers" columns and see for yourself! Claudia has been a highly sought out radio guest on BlogTalk Radio and is a friend and fan of BlogTalk host Robin Richardson. Claudia is a lovely Libra who is happily "owned" by two fabulous Starcats, Shadow and Orange Man! Claudia's world travels (1974-1987) have introduced to her to the diverse cultures of: East Africa, Southeast Asia (Hong Kong, Thailand & Sri Lanka), Europe, Canada & Mexico. Her cultural studies uniquely qualify her as a mundane astrologer and for astrological counseling work with clients from all walks of life. Formal studies in history, cultural anthropology and psychology -- as well as a total of 20 years of self-examination in psychotherapy (including training as a lay therapist) -- have all combined to inform Claudia's astrological methodology and work ethic. For a private consultation with Claudia, please contact her by E-Mail. Copyright © 2003-2013 by AstroConsultants of Santa Monica, Claudia D. Dikinis.